Procrastibake: Roll Ups... Pizza Dough Roll Ups. 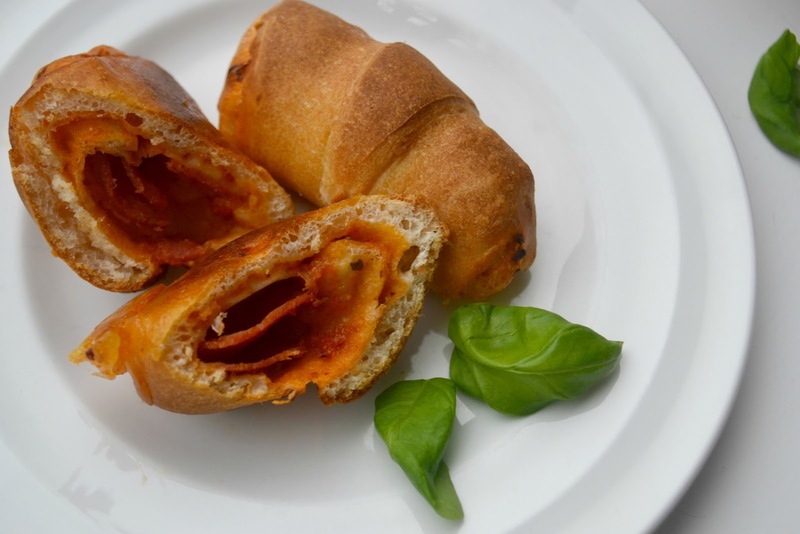 Roll Ups... Pizza Dough Roll Ups. You know I am all about homemade here but sometimes I like to cut corners, claw myself back a little time to spend day dreaming and drinking tea. This shouldn't come a surprise to a lot of you with busy lives... you know those days that seem to go on forever and no matter what you do, you get nothing completed? Yeah.. on those days I like to cut corners where I can! So with the 6 Nations finals and all you fine folk being the busy bees that you are... Aldi asked me to come up with some treats for you. Now... to be perfectly honest I have no real, sports like inclinations. No idea who would even be playing a match on any given day but I sure as heck know how to feed people. 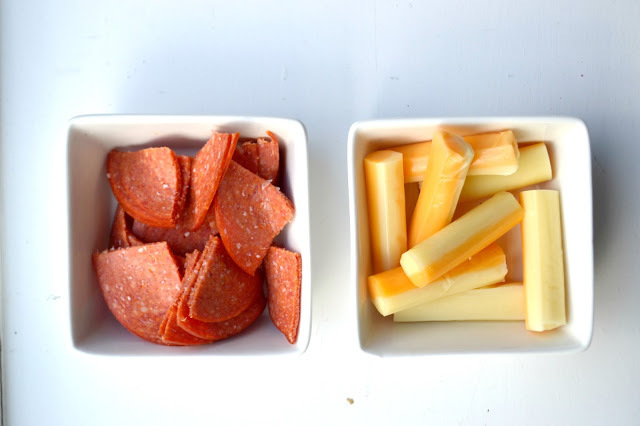 So if you are looking for something quick and fun to throw together and snack on while you watch Ireland (hopefully) beat the crap out of England (or to be PC about the whole thing... vice versa) then I think I have come up with just the ticket. Honestly it cannot get much easier than this. 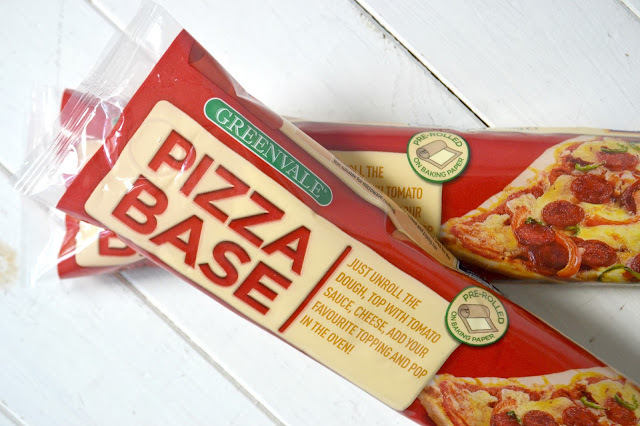 A pizza dough base, a handful of ingredients, a preheated oven and bobs your uncle you will have made Pizza Roll Ups. With little to no baking or cooking experience required, you are going to look like you have got it all going on! And better yet, with variety being the spice of life, you can alter the ingredients to suit your own pallet... A win-win if you ask me... Even if your preferred sports team loses! Preheat the oven to 350F/180C/160C fan or Gas Mark 4. 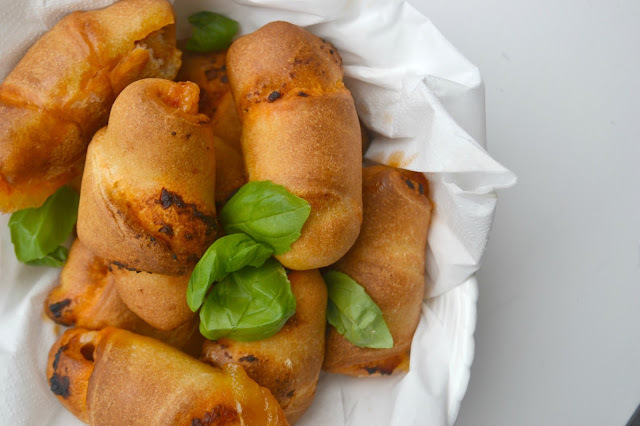 Roll out your pizza dough, from the package and set to one side. Line a baking tray with some parchment paper. 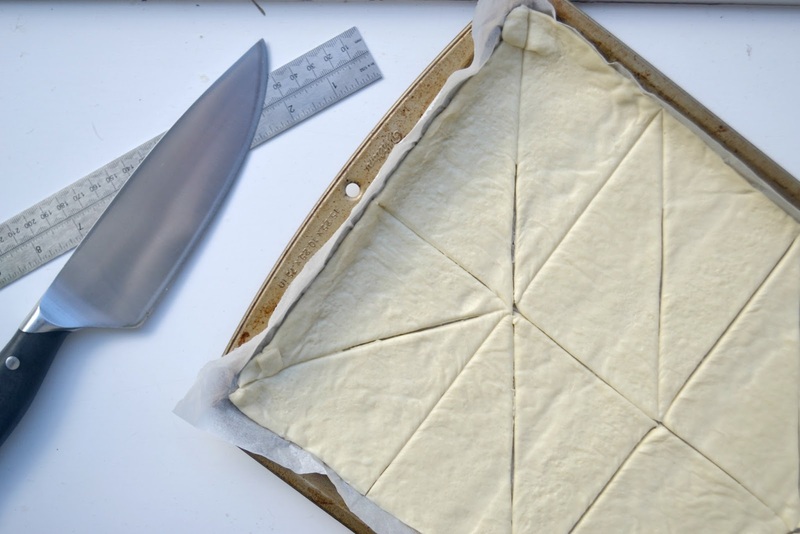 Using a sharp knife, cut the pizza dough into even triangles. I cut mine in half on the long side, then into four and then halved each 1/4, giving me 16 triangles. 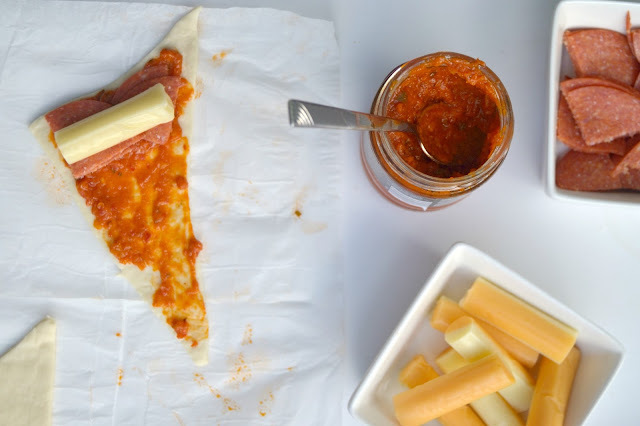 Separate the triangles and paint a thin layer of pasta sauce onto each one. 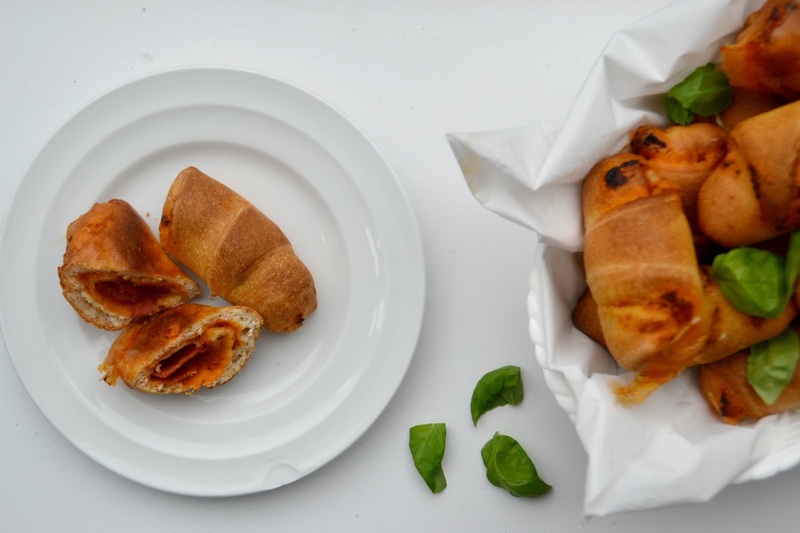 Layer with some pepperoni and a cheese string half, then, tucking in the sides, roll up the pizza dough (almost into a croissant shape). Secure any open gaps by pinching the pizza dough together. 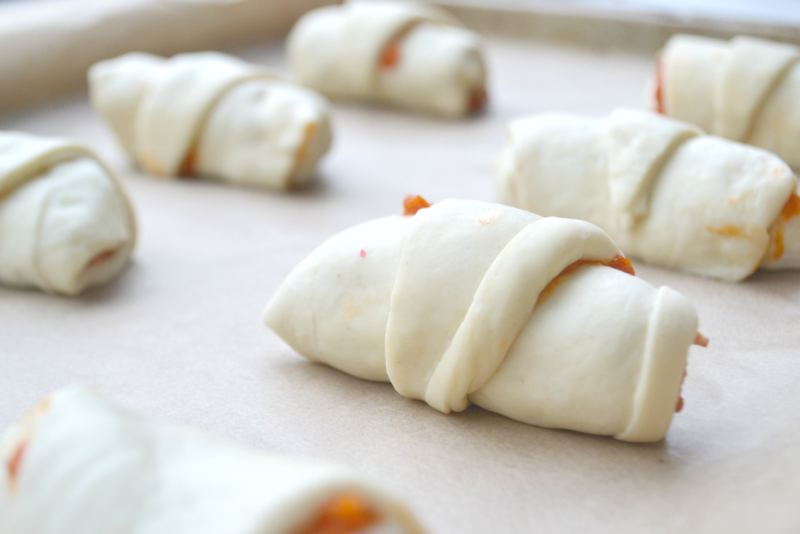 Pop each roll up onto the prepared baking tray and bake in the preheated oven for 15-20 minutes until golden. Eat warm dipped into some garlic mayonnaise or cold as a snack on the go... Both ways taste great to me! You could fill the Pizza Roll Up with whatever toppings you like and to make it even more cheesy and gooey why not try sprinkle some Mozzarella in there in lieu of the cheese string. A more sophisticated version maybe? You tell me.. the variations are endless! There you go... didn't I say it would be easy? Snacks all set up and ready for you to enjoy, whatever the occasion! All comments and views however are completely my own.